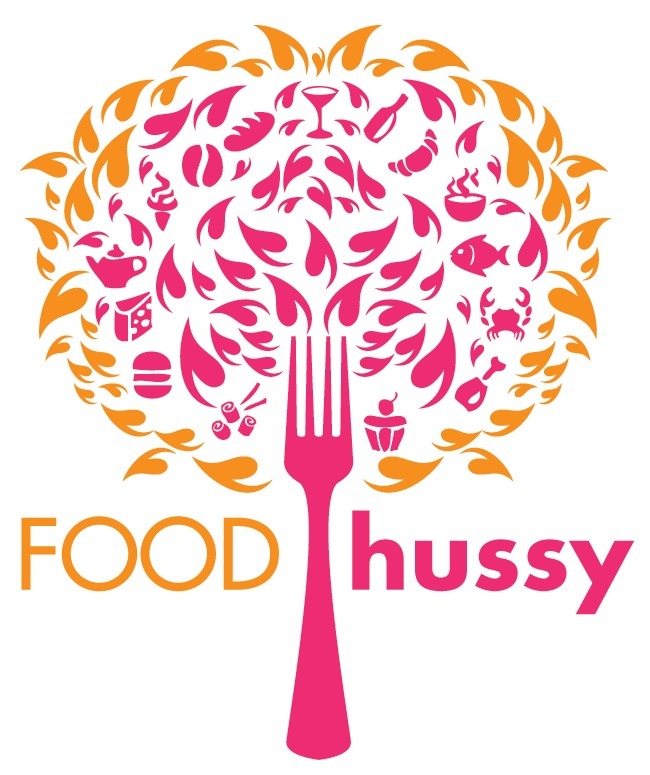 Food Hussy Recipe: Copycat Carlos O'Kellys Salsa | The Food Hussy! So for those that don't know - I'm originally from Iowa and every time I go home - I force my friends to go to Carlos O'Kellys. It's a completely not-authentic Mexican place that I adore. They have the VERY BEST QUESO and I've been obsessed with it for 30+ year. And then I got the recipe!!! 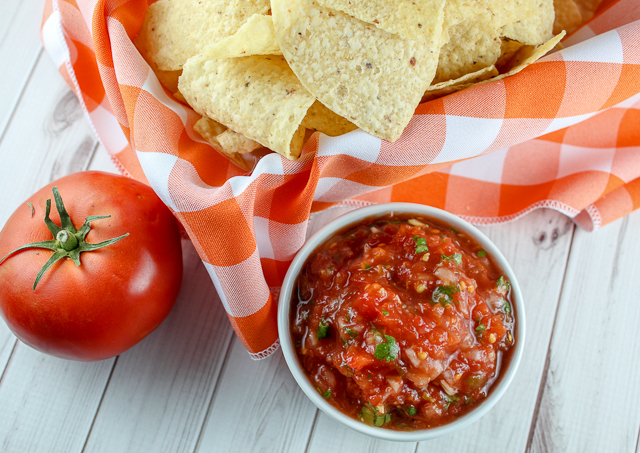 Right next to that delicious queso on every visit - is a bowl of their amazing salsa! And yes - I got that recipe too!!!! So now - when I go home to Iowa - I can actually try NEW places because I have the recipes for my two favorite things!!!! 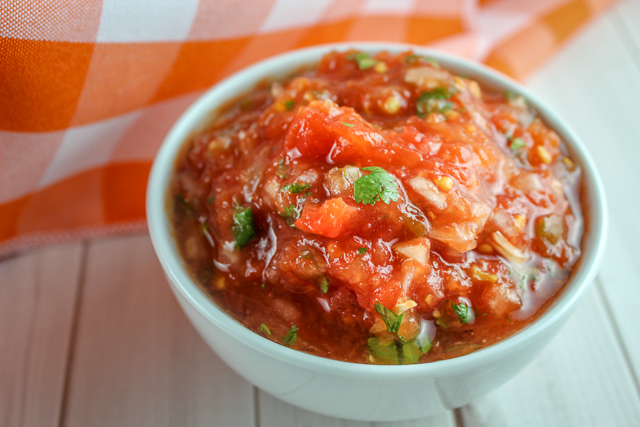 You will love this salsa - it's got a kick and it takes less than 15 minutes to put together! You should let it marinate for at least 12 hours before you serve it - so it's best to make it the day before. I also found that using a food processor makes it so much easier. I don't use a food processor much - so I just have a small little 3.5 cup version and it was perfect for this. 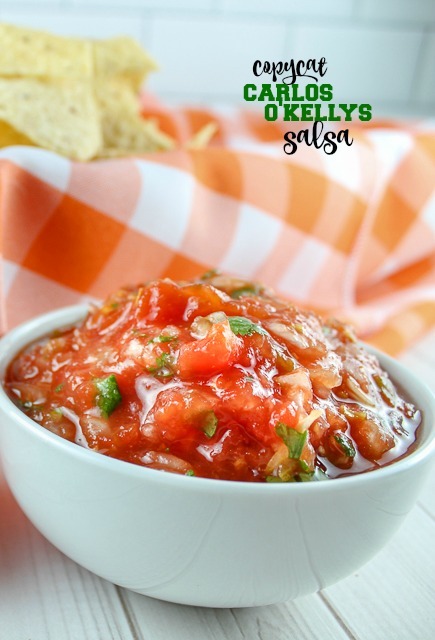 The recipe uses a large can of whole peeled tomatoes, a small onion, canned jalapenos and green chiles and some seasonings. When you're using the food processor - be sure to pulse it and keep an eye on it - you don't want to puree it - you still want chunkiness and texture. Now if you don't have a food processor - you can do this all by dicing - it'll just be a little messier with the tomatoes. But at $40 - the mini chopper is pretty cheap! You could also probably use a blender if you chopped things in small batches. I know they make the BIG full-size restaurant version in the giant blendery thing! 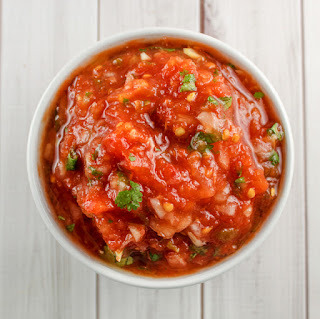 I know you're going to love this salsa recipe as much as I do! 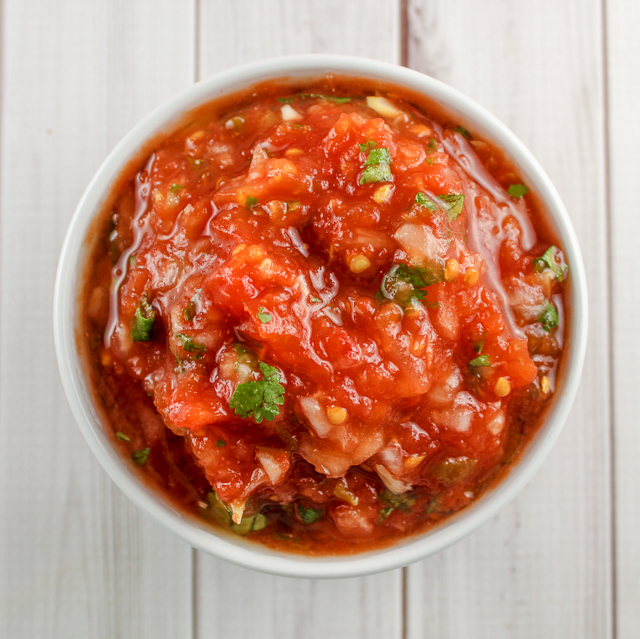 It's not too spicy and it makes just the right amount for a party! This is PERFECT for all those March Madness parties we all have coming up! Carlos O'Kellys is my absolute favorite restaurant in Iowa - it's American Mexican food but I love it! Their queso and salsa is the best! And I have the authentic recipes for them and am sharing them with you!!!! Chop onion into chunks and add to food processor - then add garlic, cilantro and salt - pulse until onion is minced and all cilantro is incorporated - you do NOT want to puree this!! pulse it on chop mode a half dozen times - and check often. Take drained whole tomatoes and put in food processor - pulse on chop setting the big chunks of tomato are broken up. again - you do not want to puree this but you want it more than diced. 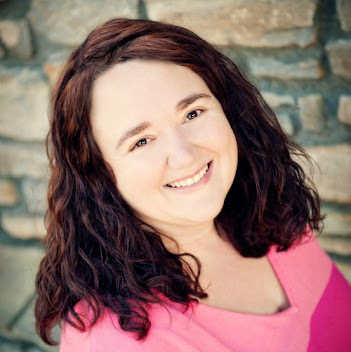 I am adding the ingredients to my Walmart order now! Can't wait to try this! !